China has only one aircraft carrier; vastly inferior to any of the American carriers. And, their next carrier will still be vastly inferior to any American carriers. The US has 19 aircraft carriers; 9 light carriers and 10 Super Carriers and another supercarrier, the J.F.K., is under constrcution. 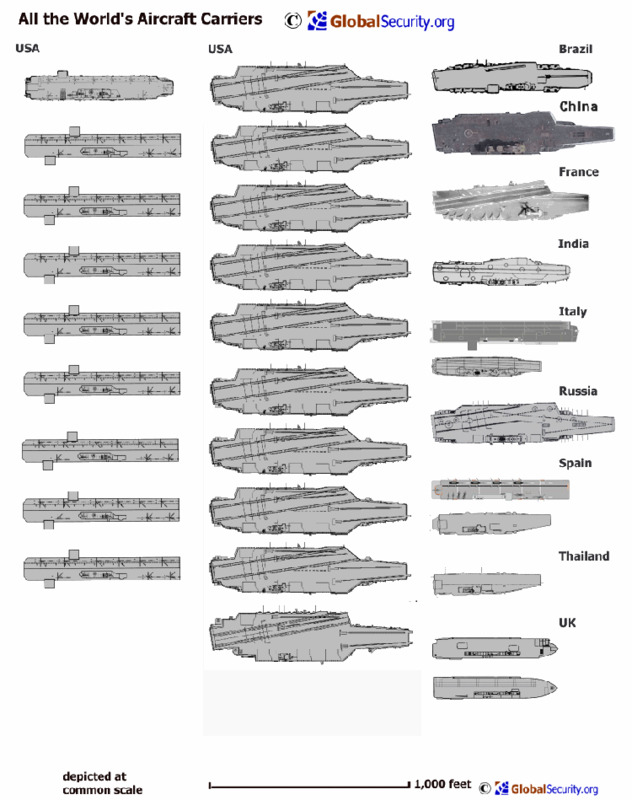 No other country has more than 2 aircracft carriers; and all are vastly inferior to the US carriers. The US has more carriers than the whole rest of the world combined. And, it might be a stretch, but it seems one American super carrier group (including support ships) could singlehandedly wipe out all of the worlds combined non-US carriers; just sayin'.